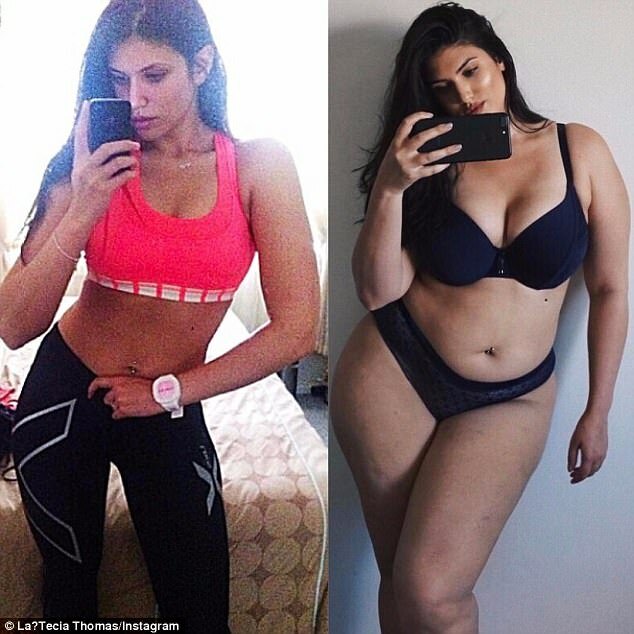 You may remembered the Australian makeup artist and model, La’Tecia Thomas, back in 2017, when she came forth telling how much happier she was after embracing her body shape. During said time, she explained how her struggle had a lot to do with societal norms. Society teaches us that being beautiful and healthy means you’re skinny. But when the Curvy model went from a size 10 to a glowing 16, she began to feel so much more pleased with herself. La’Tecia gave us a side by side view of her looks and well she looks gorgeous in both photos. You can see how much more sexier she feels in the later. She told the Daily Mail that when she was smaller, she was so miserable. She felt so insecure and spent a lot of her time comparing herself to other women.I think we all can related to her on that. If you liked to read more check the article out here. Fast forward, one year later, l La’Tecia is back leading a body positivist campaign of empowerment for us curvy goddesses. The campaign discusses how, “Style has no size. The campaign is an affirmation of inclusivity in the fashion industry.